Organize, stack and direct your calls with ease using the receptionist console from Vaspian. Ideal for receptionists, departmental administrative assistants and people who require additional personal keys, Mitel® Programmable Key Modules (PKMs) extend the button capacity of the MiVoice 5324, 5330, 5330e, 5340, and 5340e IP phones. PKMs can be easily programmed through the phone and can be used to monitor and manage multiple lines beyond the original capacity of the phone. 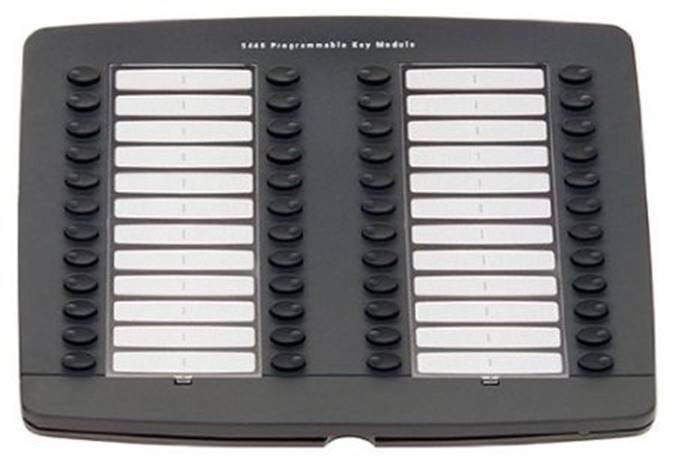 Access to up to 96 programmable keys to use as speed dials, extension numbers, direct station select keys and more. Ability to direct calls quickly and easily across the office. For smaller offices you can select the 12-key Programmable Key Module or get even more functionality with the 48-key PKM. Indicator lights by each button that allow you to see the status of each phone and simplify transferring calls in large environments. For busy receptionists and administrative assistants, Vaspian’s receptionist consoles save time and make it easier to connect more calls. Whether you are directing calls throughout your office building to multiple employees and mailboxes or you are using a series of speed dial numbers to get calls directed faster, your programmable console allows you to send any call across the office at a single click. If your organization fields multiple calls throughout the day, the Mitel receptionist console and organizational features will help you forward, transfer and direct calls reliably and quickly.